How do Hannah and Lucia manage their lives talking about health all day and then go home and try to be healthy themselves? Honestly, it’s not easy! 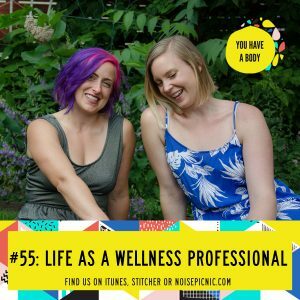 Learn their 5 biggest rewards and challenges having careers in the field of health and wellness. You may be surprised at how some of their biggest joys are their biggest struggles, too! Like what you’re hearing? Great! Leave us a review in iTunes and we’ll send a personal shout out to you!